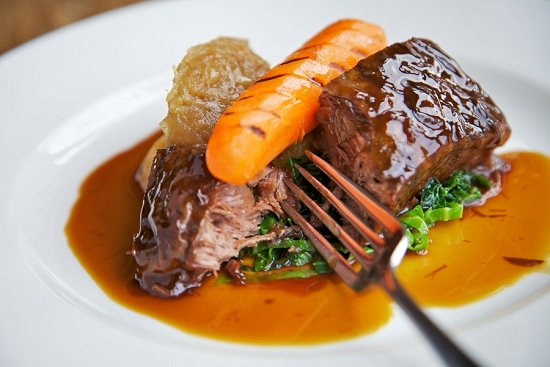 Lamberts Restaurant in Balham is a classy place to enjoy the best of British produce. So it's a shock to discover that the owner started his career as a bouncer and studied aeronautical engineering. 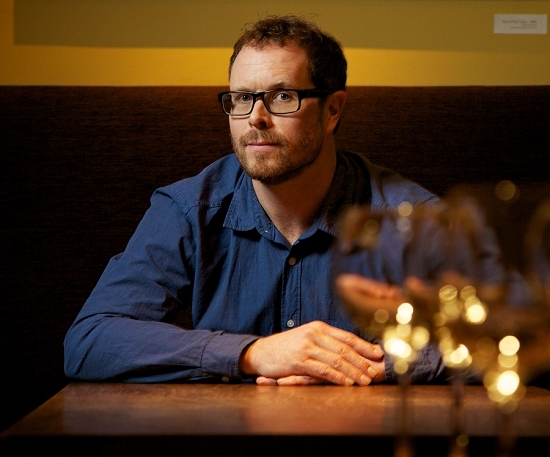 Joe Lambert, 42, has always been addicted to the hospitality business: "It was a way of combining socialising and work." He claimed the keys to his first pub aged 21 and opened Lamberts a dozen years ago. "The original idea was to do a British fine dining restaurant without the stuffiness of service," he explains. "We religiously use only British produce and follow the seasons to the letter. A rather clichéd thing now, but rarely is it followed as closely as we do." He orders his fruit and veg from First Choice at New Covent Garden and also visits the Market in person from time to time. "It's got a great vibrancy to it – you have a sense when you're there that it's the fruit and veg centre of London. It's quite an incredible thing really." 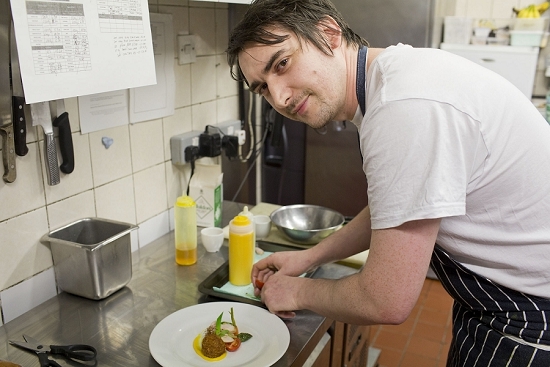 His head chef Ryan Lowery, 27, leads the team in the kitchen. They change the full menu monthly, weaving in subtle changes day-to-day. Their May menu, for example, showcases ingredients such as asparagus, Jersey Royals, heritage tomatoes, peas and watercress. 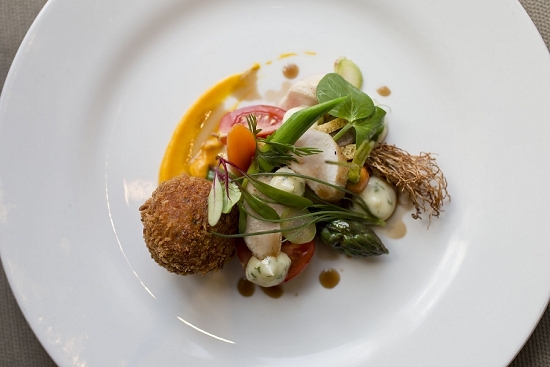 "This dish distils what we do. 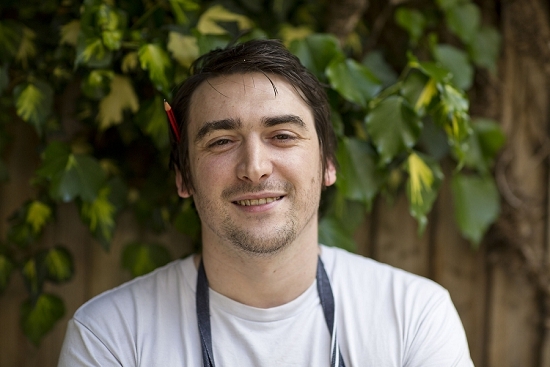 It's got the garden, the seasonality and the freshness – the very Britishness of it," says Joe. Ryan runs a tight ship in the kitchen. 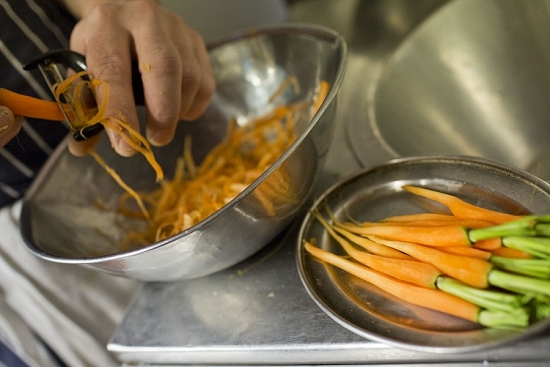 Recent innovations include installing a state-of-the-art Winnow system to weigh and analyse their food waste, which is part of the Sustainable Restaurant Association's FoodSave programme being run on behalf of the Mayor of London. 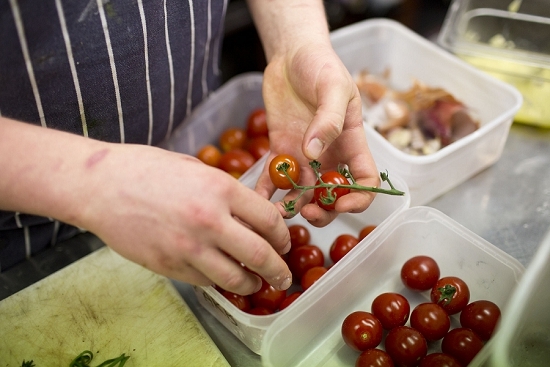 Aside from his fruit and veg delivery, Joe has developed an array of British specialist suppliers for other ingredients. 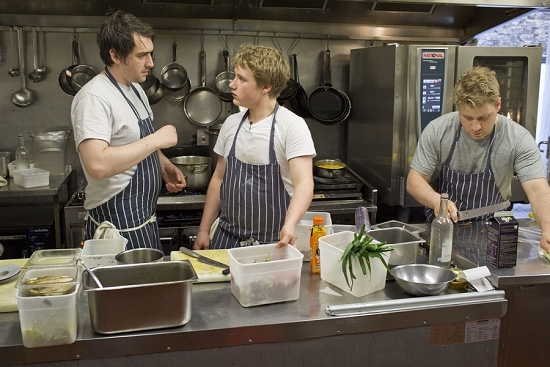 "[Some] only do one or 2 products, something which takes the chefs a while to get used to," he says. 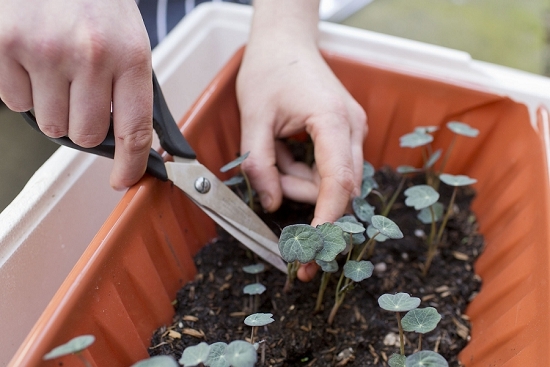 Out the back of the restaurant, Ryan now grows herbs and micro herbs such as chives, beetroot and nasturtiums, using compost made from the restaurant's organic waste. "Even if the pea shoots last one night it saves me £4," he says. 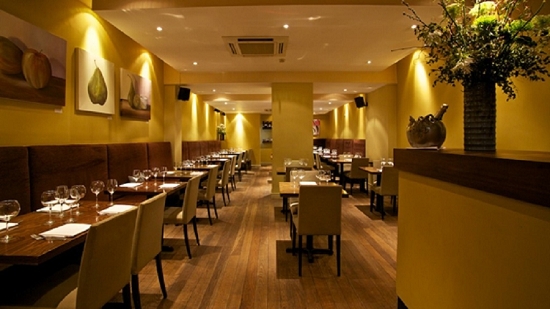 The restaurant's impressive eco credentials - they are members of the Sustainable Restaurant Assocation - have developed over time, partly by virtue of their dealings with small suppliers driven more by passion than profit. Focussing on seasonal British produce is, of course, nothing new these days. 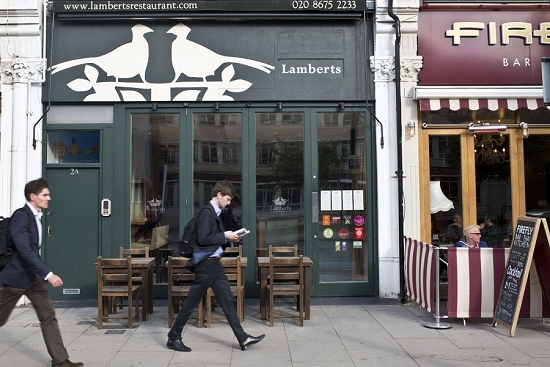 But Lambert's have been championing this approach for a dozen years now and few restaurants do it better.